Platinum Service, Leaking Shower Repair Seals. The Platinum Service is our Elite Service. 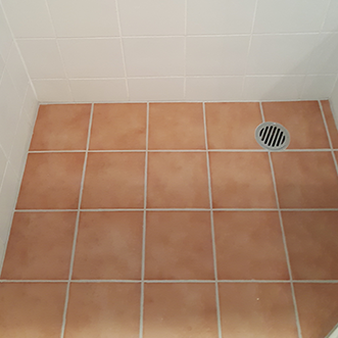 Same service as a standard + Re-grout walls with anti-mould water resistant grout, apply Elite Anti Mould Hydrapro Epoxy Grout to shower floor joints plus more. Small cracks, worn out sealing issues can all be resolved from our state of the art shower repairs team. 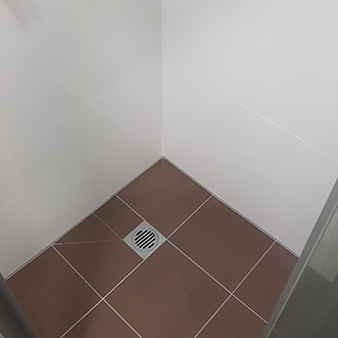 By utilising professional apparatus and leading products, Elite Shower Repairs can aid any problematic issues related to shower leaks, so you can finally enjoy that hot shower after work or indulge in a immaculate showering experience. 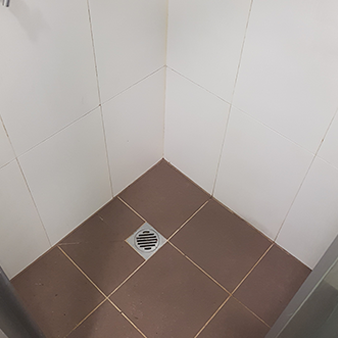 Shower repairs tend to be performed when a shower is left untreated for a while, resulting in degradation of sealing and cracks that could occur from heat, excess moisture and poor maintenance. Remove old Silicone/Grout from all internal junctions. Seal wall/floor junctions with Elite Anti Mould Hydrapro Epoxy Grout. Remove wall grout to required depth. Grout the shower walls to height of shower screen with anti mould, water resistant grout. (if not cement based grout). . Remove floor grout required depth. Apply Elite Anti Mould Hydrapro Epoxy Grout to floor joints. Apply Elite Anti Mould Hydrapro Epoxy Grout to internal joints of hob if applicable. Apply anti mould silicone to vertical wall junctions. Seal internal & external junctions of floor waste. Seal internal junctions of shower screen with anti mould silicone. I couldn’t be happier! It looked like a brand new shower by the time the technician finished. Fantastic Job. We had Elite Shower Repairs come to our home today to do a fix on one of our showers. We have been trying for a while to have someone come out but because it was a small job no-one seemed interested. Very professional & a great job done. Big thank-you to Barry. We highly recommend them. I just wanted to say thank you to you and Barry for the terrific job done on my showers. They look great. Very happy. I highly recommend Elite Shower Repairs. There was no “I’ll be there sometime between 9 and 2,” Barry and Simon the tiler organised a specific times, worked around my schedule, and showed up when they said they were going to. They were both efficient, detailed, professional, friendly, and told me exactly what they would be doing each day (my shower was not a simple one). Best of all though, they did a fantastic job, and went above and beyond to find me tiles that matched the rest of my bathroom floor. Now my shower doesn’t leak, and the water flows into the drain instead of pooling in the corner like it used to. Thank you for saving my shower!! I would like to thank you for the wonderful job you did with my shower today it looks amazing. I will be surely telling everyone about your awesome business. We are all pretty quick to complain when something goes wrong. When something goes right we want to tell you about Elite Shower repairs who repaired the faulty leaking grout and resealed around the bath and basins today. We are so pleased with Barry’s professionalism and highly recommend him. Thanks again for a great job. From start to finish this business provides you with professionalism, understanding and great communication. They provide quality workmanship, attention to detail and flexibility. I would not hesitate recommending them to anybody. We have just had our shower sealed and Barry has done an excellent job. We were so impressed by his work ethic and pleasant manner, the end result is just great. Thank you for this and I will definetly recommend Elite Shower Repairs to our family and friends. Thankyou so much for the amazing work you’ve done for me and being so accommodating with time. 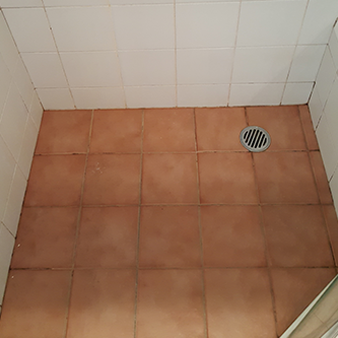 Elite Shower Repairs provided such a great service that was efficient and done professionally. Barry the Technician was prompt and able to do a same day quote and booked in just a few days later. It made the shower look brand new! Would recommend Elite Shower Repairs to anyone requiring this kind of service. From a happy customer! old bathroom looking totally refreshed with new grout and sealer around the bath, the leaks have stopped down stairs. We noted your punctuality and cleanliness and thank you for that. Well done and we will recommend you.